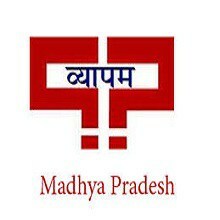 25.09.2018: Madhya Pradesh Vyapam has issued Admit Card for Jail Prahari Examination. Candidates may download their MP Vyapam Hall Ticket 2018 from links given here. An examination is going to held on 29th & 30th September 2018. Photo ID proof such as voter card, PAN card, aadhaar card, driving license, passport, UIDAI verified e-aadhaar. Madhya Pradesh Professional Examination Board (MPPEB) named as MP Vyapam is going to conduct a written exam known as “Jail Department Recruitment Test : 2018” for the recruitment to the posts of Physical Training Instructor, Sewing Instructor, Weaving Instructor, Male Nurse, Carpentry Instructor, Foremen Press, Teacher/ Assistant Teacher, Watchman (Prahari). Many Interested Candidates Filled there Online Application form. The Last Date for Submitting the Online Application form is 25.08.2018. All the Eligible Candidates gave the Written Exam on the Date 29.09.2018 to 30.09.2018. Now those Candidates Who Successfully clear the Written Exam Will face the Physical Exam (PST/PET) for Jail Prahari Post. During the download MP Vyapam Jail Prahari Admit Card 2018, you will be faced with any problem and error then please report at authority. Here we provide the contact details of the authority. MP PEB shall not make any corrections in admit card after it is issued. MP Jail Prahari Admit Card 2018 shall be available in two parts. First part will have candidate name, exam name, roll number, exam centre. It will also have candidate identity mark, photo ID proof and its number. Candidates have to affix left hand thumb impression and signature in hall ticket during exam, in front of invigilator. MP PEB shall not send admit card by post. Candidates must download MP Vyapam Call Letter 2018 before an examination. It is one of the documents which is required to participate examination. Without MP Vyapam Jail Prahari Hall Ticket 2018 examiner will not permit you to sit in the examination hall. Candidates must check details present on Madhya Pradesh Vyapam Admit Card is correct or not. Participants should carry one ID Proof and Two passport Size photo at the exam center. These documents are required to fill up the attendance sheet. ID Proof contains important information about candidates. Applicants do not forget to carry MP Vyapam Admit Card along with these documents at center. How to Download MP Jail Prahari Admit Card 2018? Step 1: - Visit the official website, first. Candidates are required to visit the official website of MPPEB i.e. peb.mp.gov.in. in order to download the MP Jail Prahari Admit Card. Step 2: - Click on the link to MP Jail Prahari Admit Card section. Once you are on the official website, you will find the “MP Jail Prahari Admit Card” link on the main menu. Step 3: – Login to the MP Jail Prahari Admit Card 2018. Upon clicking on the admit card link in the menu, candidates will have to enter the 13-digit application number and date of birth and then they need to press the search button. Or else all above steps can be skipped and candidates those who have applied for the exam can directly click on download admit card link on this page, which shall be available as per release on the official website. Once admit card is displayed on the screen, candidates have to download the same by taking a print out. Spot the Error, Fill in the Blanks, Synonyms/Homonyms, Antonyms, Spellings/Detecting Mis-spelt words, Idioms & Phrases, One word substitution, Improvement of Sentences, Active/Passive Voice of Verbs, Conversion into Direct/Indirect narration, Shuffling of Sentence parts, Shuffling of Sentences in a passage, Cloze Passage, Comprehension Passage. If candidate does not qualify in Race then he/she will not be able to participate in Shotput. PET will be qualifying nature. There will be no maximum/obtained marks for this test. Result will be intimate immediately to the candidate. Higher Secondary Examination (12th Passed) from MP Secondary Educational Council or equivalent recognized institute. Selection for the post will be made by conducting Written Examination, Interview and PET. Minimum qualifying marks in written examination for UR category is 33% and for SC / ST / OBC category is 23%. For interview, 09 marks have been stipulated. Only qualified candidates in written examination will be called for interview. Rs. 250 for OBC/SC/ST candidates and Rs.500 for UR candidates. MP online portal fee is Rs.70. There is no application fee for Direct Recruitment (Backlog) and Baiga, Saharia, Bhariya Tribe candidates.